Cloud patterns above Cape Adare and Robertson Bay. Admiralty Mountains distant, Ross Sea. 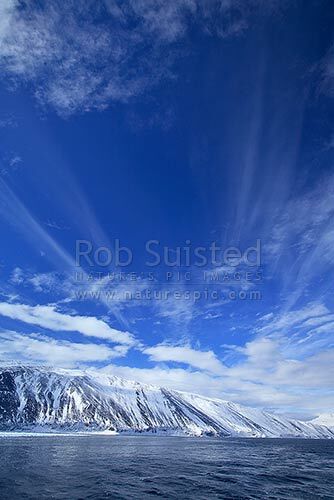 Victoria Land, Cape Adare, Ross Sea, Antarctica District, Antarctica Region, Antarctica, stock photo.